The Sich Riflemen Halych-Bukovyna Kurin (Ukrainian: Січові Cтрільці) were one of the first regular military units of the Army of the Ukrainian People's Republic. 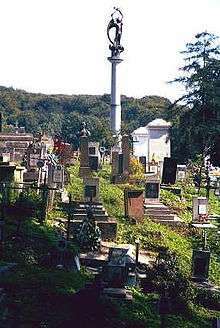 The unit operated from 1917 to 1919 and was formed from Ukrainian soldiers of the Austro-Hungarian army, local population and former commanders of the Ukrainian Sich Riflemen in Austria-Hungary. 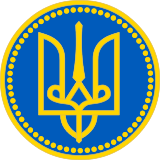 The first kurin was formed in Kiev on 13 November 1917. Commanded by Col. Yevhen Konovalets with his chief of staff Andriy Melnyk, the Sich Rifles had up to 25,000 men at their peak, including artillery, cavalry, reconnaissance and machine gun units. The Sich Riflemen defended the government of UNR against the Bolshevik insurrection in the capital and later against regular Red Army forces that advanced into Ukraine in 1918. 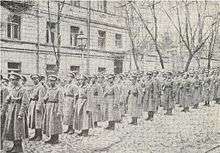 When Kiev was recaptured in March 1918 the Ukrainian Sich Riflemen guarded government buildings in the capital and maintained order in the city. The unit later expanded to include two infantry detachments, a cavalry unit and an artillery battery. 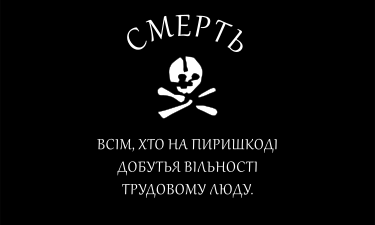 With the establishment of Hetmanate of Pavlo Skoropadsky the Sich Riflemen refused to serve him and were disarmed by the German forces that supported the hetman. Soldiers from the unit joined other forces, notably Second Zaporozhian Regiment of Petro Bolbochan and attempted to reestablish the unit under the new command. In August 1918 Skoropadsky finally allowed a partial reestablishment of the unit in Bila Tserkva. The new unit consisted of 1200 men and was divided into an infantry regiment, an artillery battery and a technical unit. In Bila Tserkva, the Sich Riflemen led the revolt against hetman Skoropadsky and the ranks of the unit increased by November 1918 to 11,000. Later the two other Dnieper and Black Sea divisions joined the unit. In November 1918 with new recruits the ranks of the Riflemen swelled to 25,000. It played a crucial role in the establishment of the Directorate under Symon Petlura. In December the unit captured Kiev and was subsequently divided into smaller units. Different detachments of the unit fought against advancing Bolshevik armies in Ukraine. Together with the Directory the Sich Riflemen fled from Kiev when it was recaptured by the Bolsheviks. The Riflemen also fought on different fronts against the White Russian forces of General Denikin. In 1919 the unit took heavy losses in combat and later from typhus. On 6 December 1919 the unit was finally demobilized. Some former soldiers were interned by the Polish army, others continued to fight in other smaller detachments in Ukraine. Paul Robert Magocsi. The Roots of Ukrainian Nationalism: Galicia As Ukraine's Piedmont. University of Toronto Press. 2002. ISBN 0-521-81988-1.